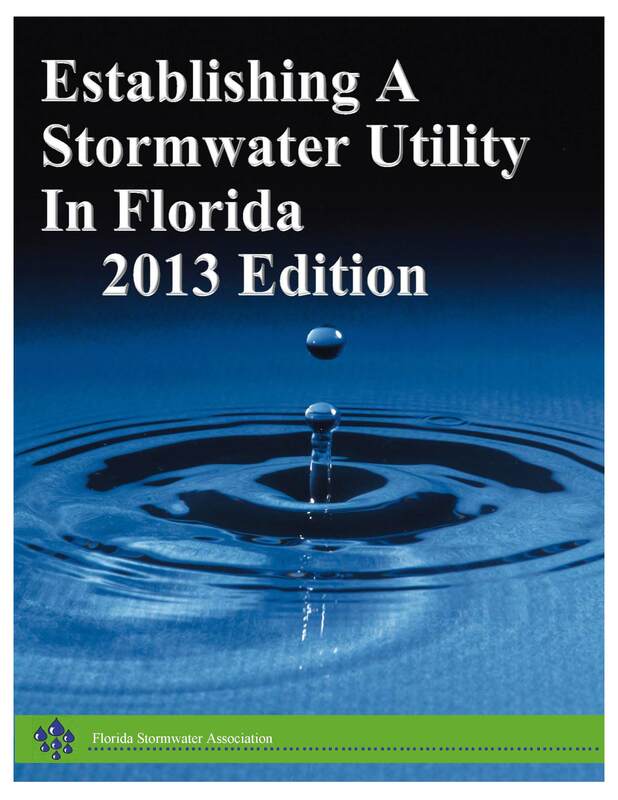 FSA's Manual Establishing a Stormwater Utility in Florida was first published in 1998. It was prepared to assist communities that are considering the development and implementation of a stormwater utility as a means of providing supplemental or alternative funding for their stormwater management program. It is written for citizens, elected officials, and city or county administrators and staff who want to understand the issues, benefits and community investment associated with stormwater utilities. The Manual was revised by FSA in 2003 and in 2013. Manuals are $30 for FSA members and $50 for non-members.